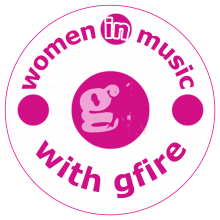 gfire has been writing her 2nd CD of all original "folk-tronica" tunes. the CD will be "choosing my own colours" so each song has a color theme. the song "red" is basically a rant about her evil ex-fiance! !